Departure from Place du Château in Grandson. The path follows the lakeshore and winds its way along welcoming beaches and preserved nature spots before reaching Concise and its languid port. 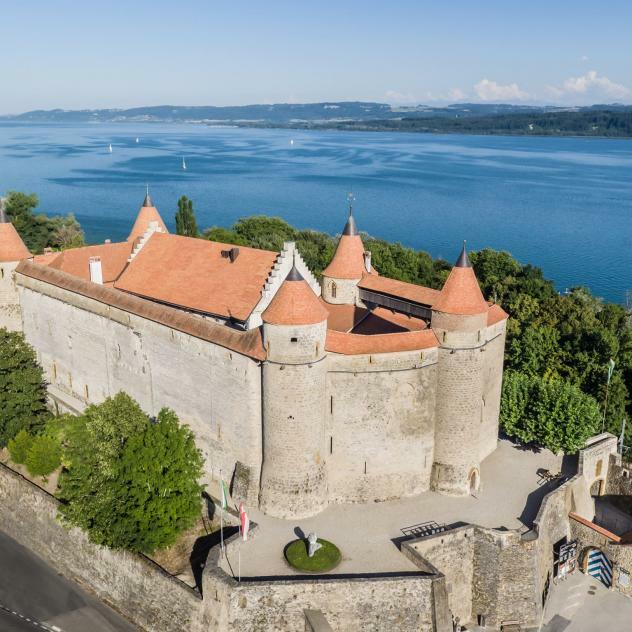 History fans will be sure to visit the fortress and then go on to the field where, in 1476, Swiss soldiers confronted the armies of the Duke of Burgundy, Charles the Bold. 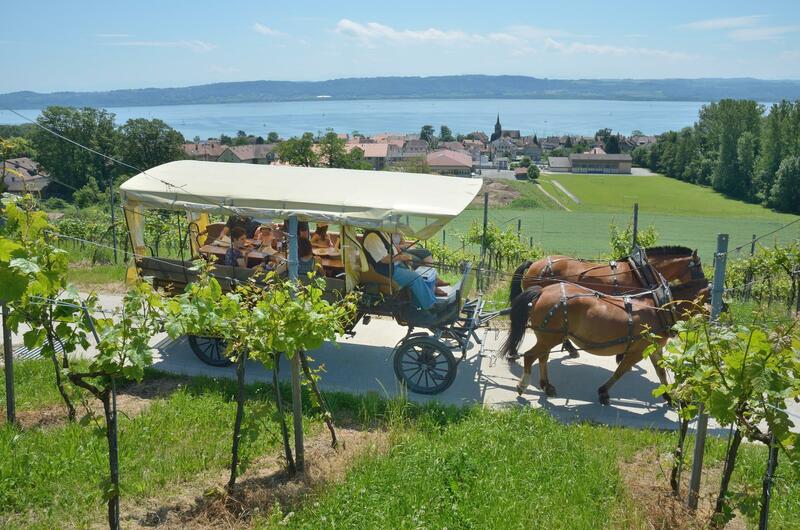 Visitors will then cross winegrowing villages and carefully tended before the path leads them back to Grandson. 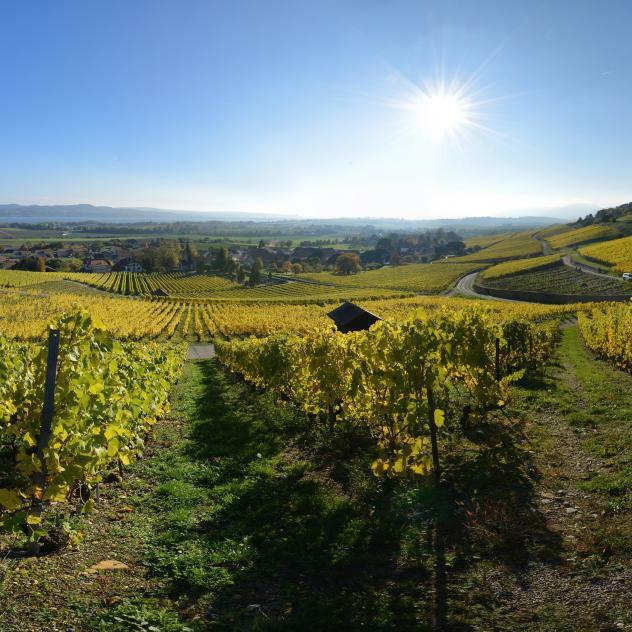 Maisons des Terroirs in the centre of the village is the place to visit for a souvenir, a snack or wine tasting.